Was Laarbruch not an R.A.F station in the 60's and 70's? Pot calling the pot black? 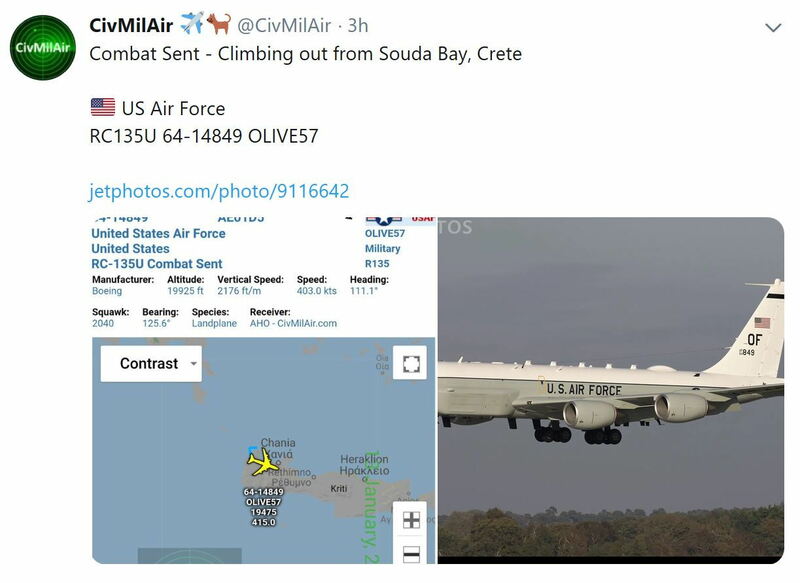 Of course It isn't secret, but the pompous old farts of PPRuNe, none more so than the even more pompous and even older and fartier Mil Aviation regulars love to do this stuff; Hint heavily that they were privy to hush hush stuff, while really openly stating where, when and who it was that they "definitely didn't see". Just so you know they were actually there, so you can doff your cap to them. It's just a form of attention seeking really. If it was really secret, and someone was involved directly, it wouldn't be discussed here. If you want to experience having a similar personality disorder, just hang around a bar wearing a veteran badge, occasionally touch your nose and say something like "I'd tell you but I'd have to kill you", and you too can feel like BEagle and a lot of the other old wrecks that make up the Mil (or rather the RAF of the 1960s and 70s) forum. If your username is anything to go by then you too are an 'old fart' .. and it just goes to show how humourless one can become in old age. IF one does not frequent PPRuNe often enough !! Last edited by cargosales; 13th Jan 2019 at 22:17. I do so agree. Hopefully the culprit will take his admonition and indeed his medications and return in a more positive frame of mind. NB. Take note that I am known as Captain Grumpy hereabouts, having inherited the title when the incumbent left the village. I am also the goulasch inspector for Europe, using the ten factor scheme introduced by my brother in law in 1980. I think Laarbruch has a point. Many here have had interesting military careers, but there are a few pompous ones who you wonder if they have a carefully crafted RAF moustache, and insist on being known as Squadron Leader down at the pub. So much for the keen eyesight requirement I reckon! Shame another certain May had such a clear view of the World. Bloody rude calling a Group Captain "Squadron Leader". First one I saw was at Offutt AFB in mid May 1970 at their Open Day. A "Motor Glider" arrived and flew a couple of low slow circuits. Then changed to "Rocket Ship" to depart. Totally amazing! Also first sight of a Jumbo, which seemed to be flying very slowly. Made our Victor look very small. A ground party with a similar car was detached daily to RAE Bedford who had an agreement with Alconbury to be their 'COB' or' Combined Operating Base' but I didn't say that 'cos in never happened. Come to think of it, didn't the first U2 to land in the UK land at Bedford? Being stationed at RAE Bedford (NATS provided the ATC for the MoD) from 1987-1991, the ground party and high speed car only ever came on base once when a TR-1 as they were known then did divert in and stayed overnight. In fact what occurred during the training flights often having 2-3 in the circuit at a time ,was the 5.0-litre Mustangs chase cars would sit in a layby on the road between RAF Alconbury and RAE Bedford listen to ATC frequency as they only did go arounds so never needed the cars for the final talkdown. Bedford was earmarked at one point as being a master diversion for Alconbury for crosswind diversion,and this was to entail the resurfacing of our cross runway 24/06 (although all training was carried out on 27/09)by the United States government as our runways were made up by concrete blocks. As part of this task we had to provide the USAF our traffic movements at the base with a years worth of statistics for both runways,but nothing came of it. Sorry got the wrong impression; the chase car was operating on the runway at Bedford one day when I visited and from what one of the Bedford controllers (AM) told me that day I thought it was a daily occurence. Course it did mean when a TR1 landed at Farnborough for the airshow, I was the only one who wasn't surprised when the chase car entered the runway behind it; everyone else was panicking asking what he was doing! Last edited by chevvron; 18th Jan 2019 at 13:26. Just reading Aeroplane, Feb 2019 issue on the RAF's use of the U2, seems one flew Edwards to St Mawgan on 17 April 1969 (or perhaps it didn't if no one saw it ?) and they operated out of Kinloss in October 1969 (or again perhaps they didn't if no one saw them) any recollections from any one and pictures ????. They mention the St Mawgan aircraft ?? was due to fly during a Taceval on the 18 April 69 but was damaged by a fork lift truck and didn't participate, any info ?. Why did Zetec stop in mid sentence? Did a black car just arrive at his house? Hang on, some one is at my front door. How about that "unknown" helicopter that fetched up in ol' Bin Liiner's back garden just before he went to receive those virginal kisses? Pretty neat False Information Plan by the SEAL's to place the wreckage there for the Pakistani's to flog to the highest bidder I reckon. It's likely the driver didn't see it. I was a member of the Royal Observer Corps on the St. Columb Post which was the nearest ROC unit to RAF St. Mawgan.. On April 17th, 1969 my Chief Observer saw the U-2 on approach to St. Mawgan. Later the same day a C-141 Starlifter also arrived ostensibly with hydraulic failure!. For anyone interested in military aviation St. Mawgan was often able to get some interesting movements and these days it is all to easy to forget that we still have an air force. I was at St Mawgan then, working in the tower and didn’t see the U2.